Helping your selective eater with autism become a good eater isn’t easy. But you know that already! 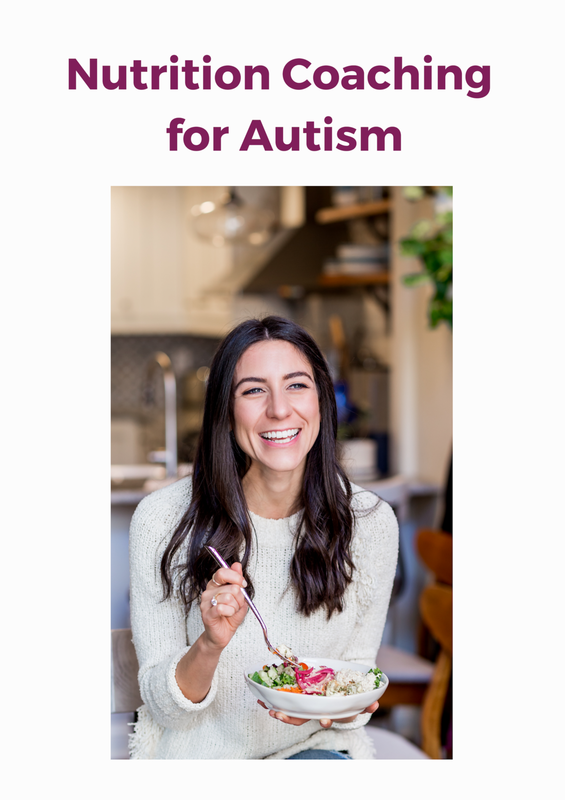 Transforming the restrictive eating habits of an autistic child who fears new foods takes a tremendous amount of patience and a certain amount of skill. As the caregiver, you play a fundamental role in your child’s eating. The good news? Negative phrases can easily be swapped for productive ones. Just take a bite for me. If you don’t eat I’ll be angry. Phrases like these can place pressure on your child to eat and links their eating with your approval and love. Pressure can increase anxiety, which can reduce appetite. Mango is sweet like bananas and smooth like an avocado. These are strawberries like ones in your yogurt. Phrases about the sensory qualities of a food pique a child’s interest and helps them make connections. 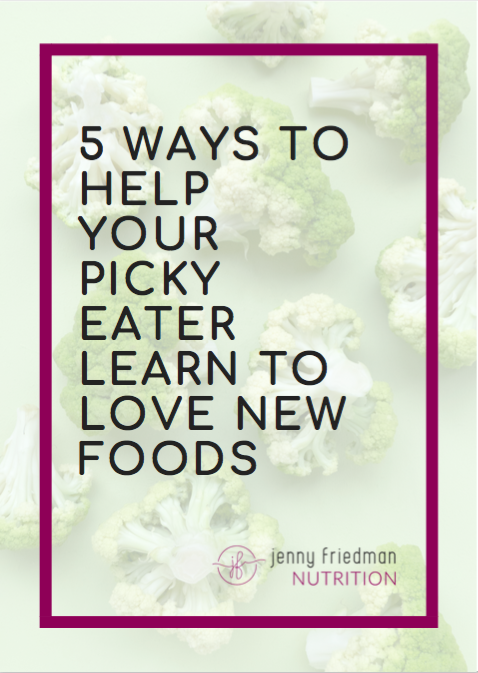 Because many picky eaters with autism are scared to try new foods, making connections helps the food seem more familiar and can increase internal motivation to taste. You have to try everything on your plate before leaving the table. Phrases like these teach your child that she is not in charge of what goes in her mouth. If possible, serve family style or allow your child to dictate how much she wants on her plate. If you don’t want to eat the carrots, please place them on your “no thank you” plate. Asking your child to place food on a “no thank you” plate lets her know that she is not required to eat something that she doesn’t want to. Moreover, it encourages her to interact with the food in a low pressure way. What would you like for snack? Questions like these are overwhelming. Too many choices! They also put your child in control of what is served (that’s your role, caretaker!) and can reinforce picky eating. Would you like celery or carrots to dip in your hummus for snack? Options like these make your child feel in control and empowered, without overwhelming him. By offering two similar options, you are still ensuring meals are nutritious. Big boys finish their vegetables. Your sister ate all of her chicken. Take one more bite before you leave the table. Phrases like these pressure your child, link eating to personal worth, suggest that another child may be preferred, and teach him to ignore his fullness cues. Siblings can be great models for positive eating behaviors, but it’s unreasonable to expect that two children will have the same appetite, tastes, or eating habits. How does your belly feel? Is it full or empty? It’s okay if you don’t want to eat more. If you’re all done, please take your plate to the sink. The kitchen is closed, but snack time is around the corner. We’re having apples and peanut butter. Phrases like these encourage your child to tune into how his body feels. This is important to encourage, as many kids on the spectrum have trouble sensing when they are hungry or full. These phrases also don’t place external pressure on your child to eat, while letting him know that another opportunity is coming soon. This will help your child feel secure and cared for. You don’t like it? What can I make you instead? I made meatballs, but I can make your favorite grilled cheese if you don’t want to eat that. Phrases like these show your child that she doesn’t have to try new foods and that you will cater to her food preferences. Offering to make a separate meal just for your selective eater reinforces picky eating and puts her in charge of deciding what is served and when. This is what’s for lunch lunch today. I’m sorry you didn’t like dinner tonight. We can have grilled cheese on Thursday. Would you prefer an apple or pear with snack? Phrases like these reinforce the division of responsibility, where you decide what to serve and your child decides if or how much she eats. This prevents short order cooking which can reinforce picky eating. Including your child in simple decision making will help her feel involved without letting her dictate what is served. Big girls don’t play with their food. Phrases like these discourage your child from exploring food and getting to know its sensory properties. Food play prepares a child to eat. What if we made a volcano with the mashed potatoes? Should we add some broccoli trees? Phrases like these encourage your child to touch and smell (and maybe even taste!) new foods. The more interactions a child has with food, the more likely they are to eat it. 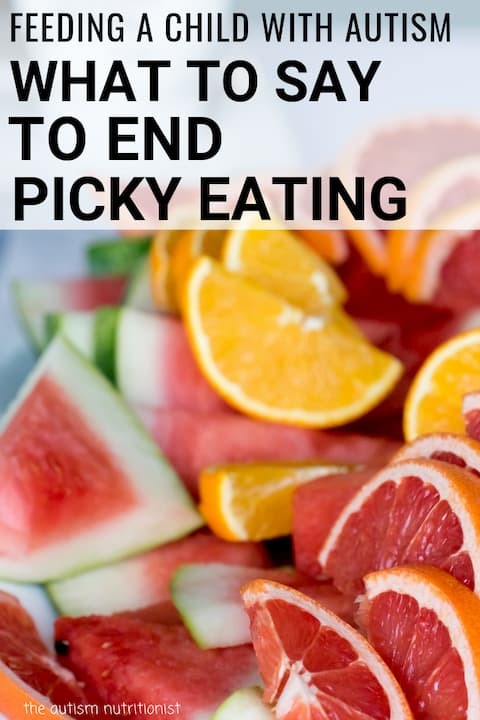 What you say to your picky eater as she is eating can help or hinder your journey to cure picky eating. Practice speaking to your child without judgement during the next meal. A good tip is to avoid food talk at meals all together! It can help to come prepared with discussion topics so the focus is more on enjoying the company than how your selective eater is doing.